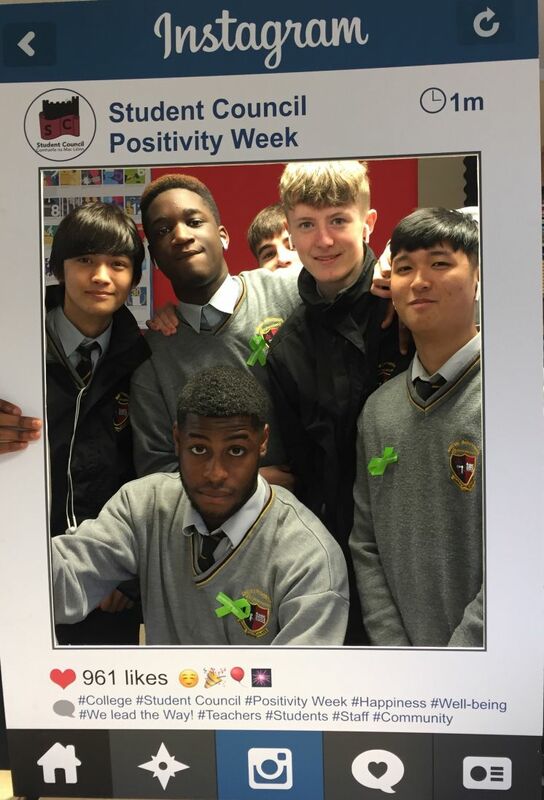 What a fantastic way to draw Positivity Week to a close. 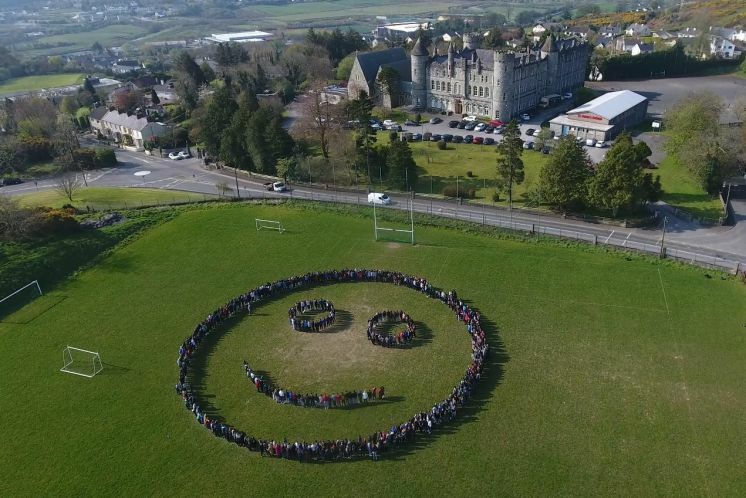 A huge smile from a happy school on a beautiful sunny morning. 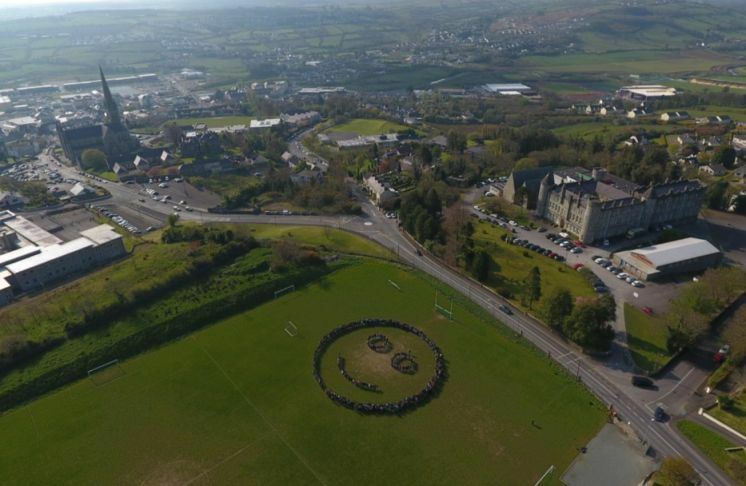 Thanks and congratulations to Ms. Costello and Ms. Duddy; and to all ho helped this week, and not forgetting Mr. O’Donnell’s fab drone photo. 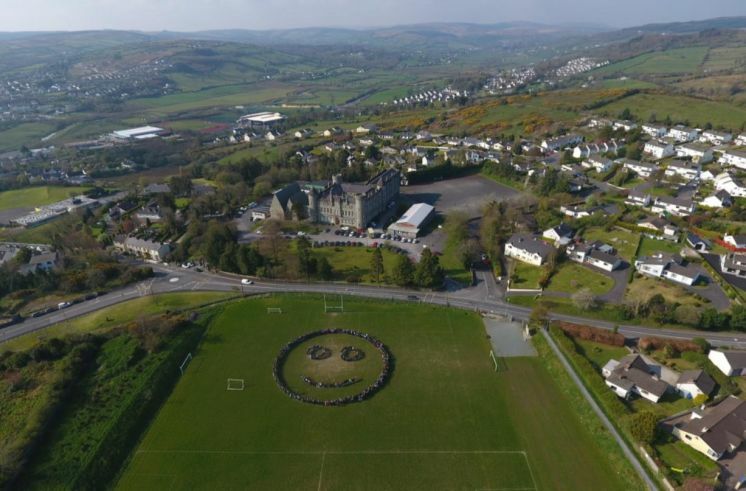 Happy Easter to all our students, staff, parents and community. Keep smiling!! 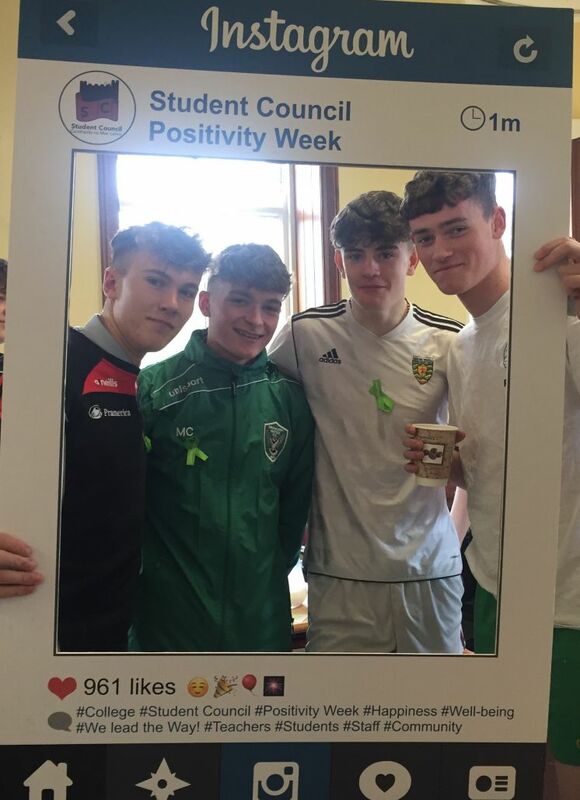 What a busy and brilliant day in St. Eunan’s College thanks to all involved in our Wellbeing Week; our hard working Student Council inspired by Ms. Costello and Ms. Griffin’s inspiration. 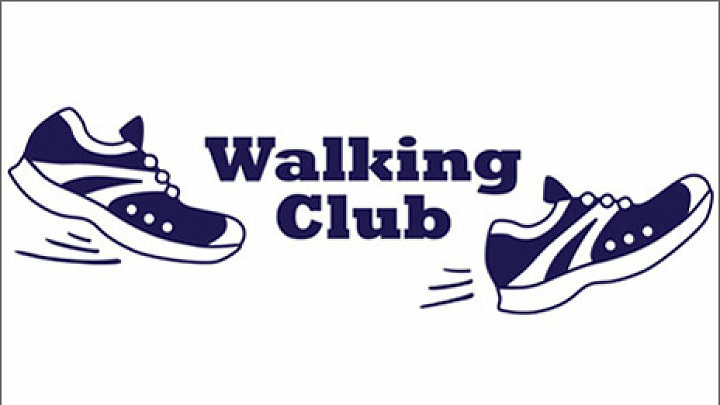 From tea and coffee in the canteen, thanks Donna and Michelle, to Ms. Griffin looking after our tickers and well being with the staff and student walking club; and what an amazing way of brightening up our run of the mill lockers than with positive post-its. Fair play to all and check in tomorrow to see what else is planned. 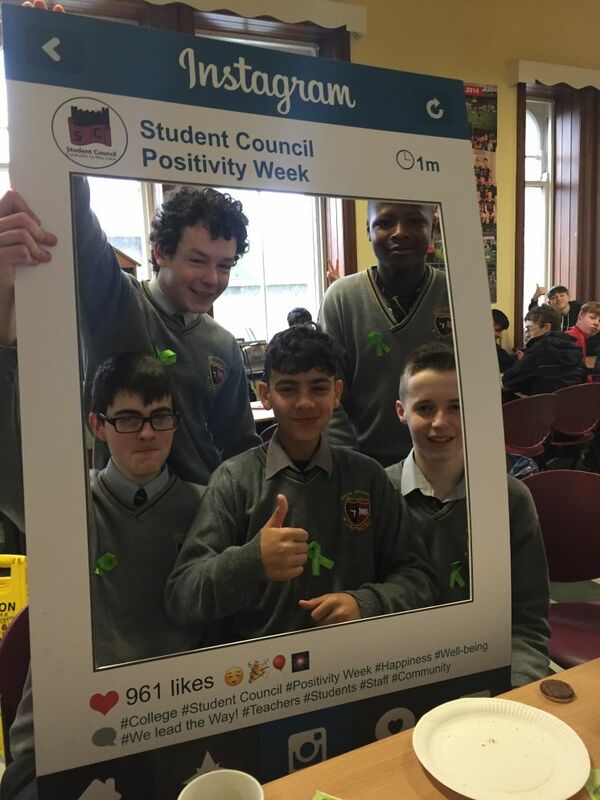 What a busy and brilliant day in St. Eunan’s College thanks to all involved in our Wellbeing Week; our hard working Student Council inspired by Ms. Costello and Ms. Duddy’s inspiration. 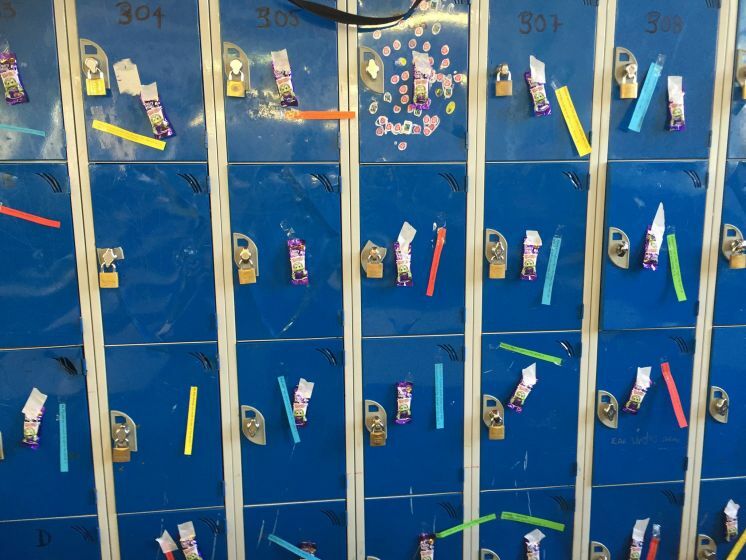 Thanks to fifth year prefects Thomas Conway and Scott Thomspon who made the tea on the day; and what an amazing way of brightening up our run of the mill lockers than with positive post-its. 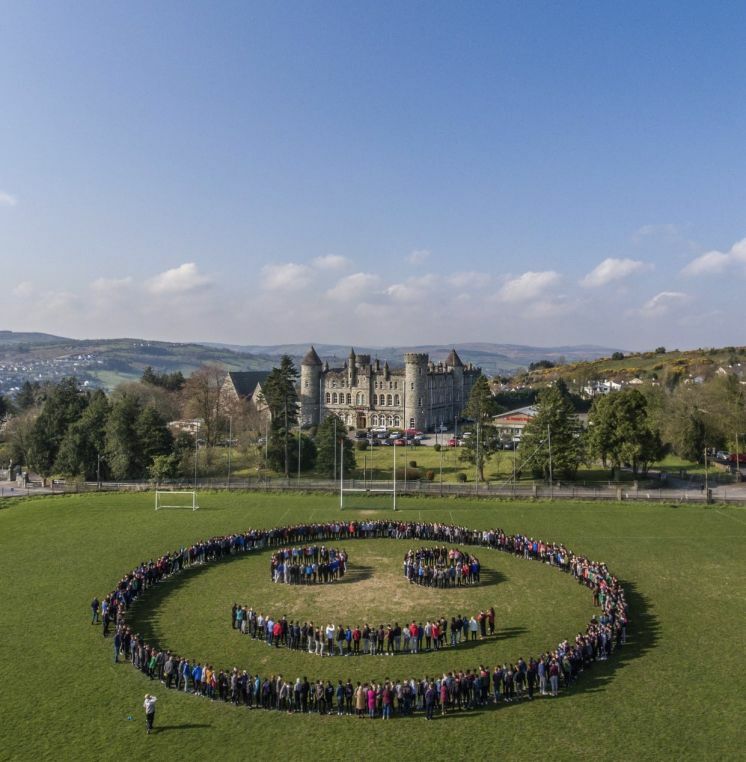 Fair play to all and check in tomorrow to see what else is planned.